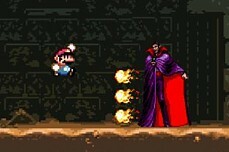 Zombies are coming for Mario and trying to eat his brains! 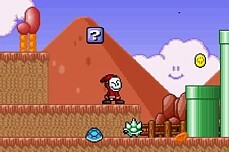 Mario has bunkered himself down on a hill above where the masses attack. 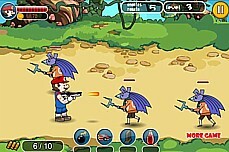 Pick off the zombies one by one with your guns (use the mouse). 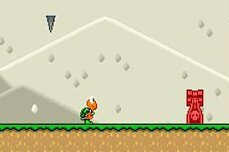 After each wave, you will be given the chance to upgrade your guns at the store. 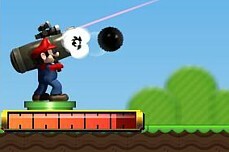 It is here that you can purchase your pal Sonic the sniper for 7500 gold coins! 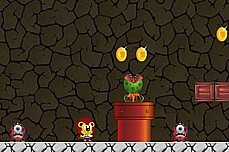 Collect the necessary amount of cash on each level in order to move on. 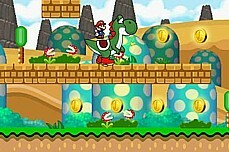 Grab coins, shells, and anything else! 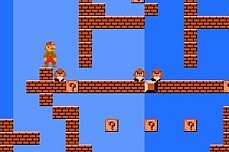 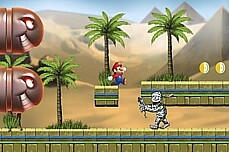 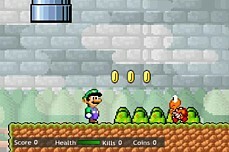 Collect all the coins on each screen to complete the level but watch out for the baddies that come out of the door! 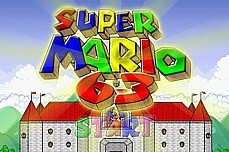 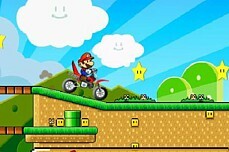 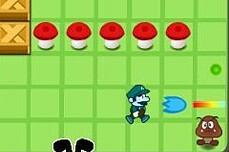 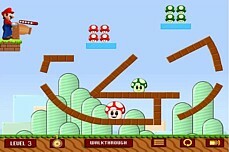 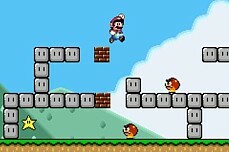 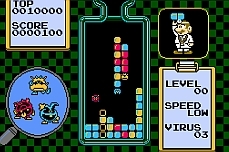 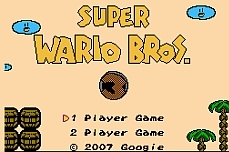 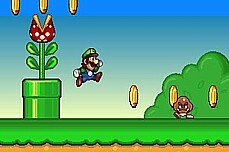 Mario must traverse 8 dangerous levels to save his poor brother Luigi. 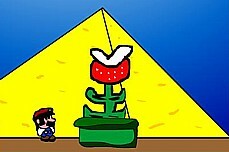 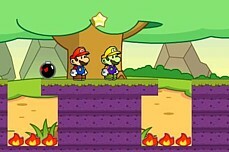 Clear each level by collecting all coins and grabbing the star. 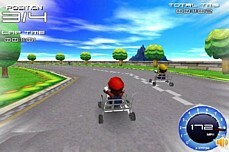 See how far you can make it in this 3D racing game. 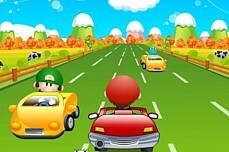 Avoid the other cars and grab mushrooms to aid you. 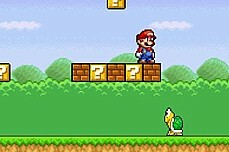 Go for the high score. 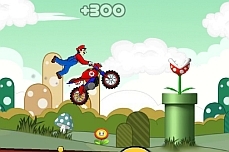 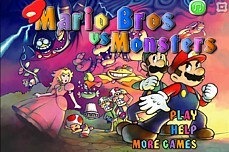 A wacky Mario Bros. game with a twist. 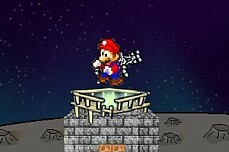 You have to build platforms Tetris style to complete each level.